My nickname as far back as Infant School, was Airy Fairy Faye. Which should tell you two things. One. 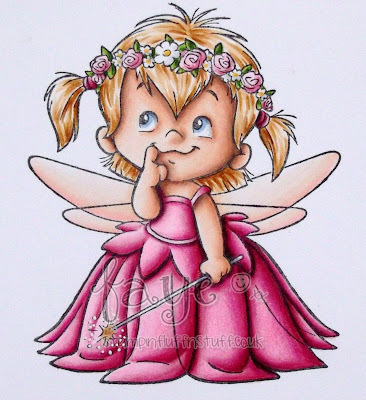 I have loved fairies for a long time. Two. I have always been 'Away' with them. 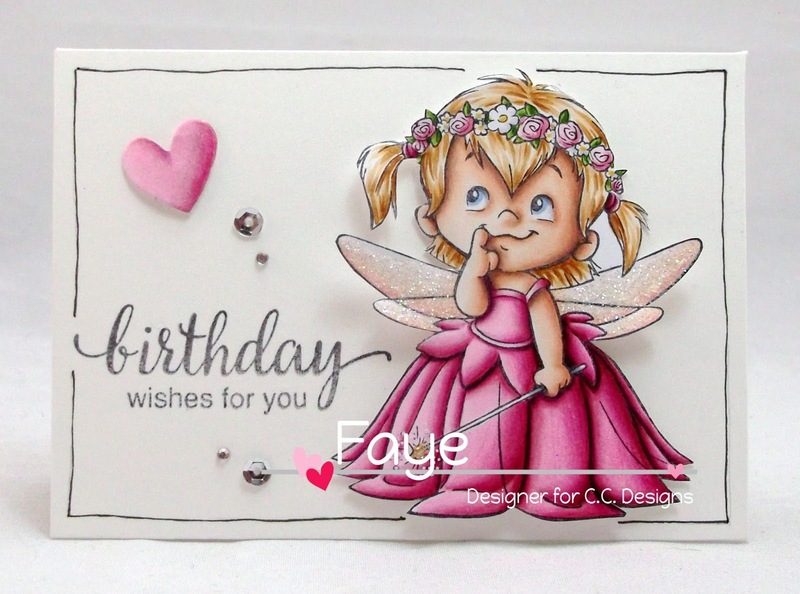 So, it will now come as no surprise to you that I fell instantly in love with Roberto's Rascals Fairy Twila here, from the latest Release at C.C.Designs. I just adore the expression on her face, is she planning some mischief? This is absolutely BEAUTIFUL Faye!!! Oh Faye, she is just gorgeous! OK Airy Fairy Faye... , tell me you made this card for ME??? PLEASE???? You can save it till next year??? Cos............ it's PINK.......... and it's STUNNING! OMG I love it! More hearts coming from my eyes and heading your way... PINK hearts of course! She is so precious Faye...perfectly coloured..what a little cutie. Fab-U-Lous! Amazing colouring with so much depth and it's just the cutest birthday card! Oh the stories I could tell but my lips are sealed. Hugs Muver. Cute, mischievous and beautifully coloured... I love her! Wow, what amazing colouring, so beautiful! Fabulous!!!! and colouring is just expert as always. Love it.